“Batamalo, Lal-Chowk, Qamarwari, Batamalo,” an unusually decent young bus conductor is yelling for passengers at Dalgate, Srinagar’s main tourist landing point. As the bus starts moving a passenger enquires from this young man: “How can I visit Gulmarag but on cheap rate?” The passanger is a south Indian tourist and wants to explore Kashmir with his limited budget. As Sajad, the bus conductor responded, it created a scene literally. All commuters in the bus were spell bound, not becase of usual attitude of a conductor but because of his polished, unflattering English. He guided the tourist politely and accrately. “You speak so good English. You must be good educated, beta,” a white beard man in his sixties asked. Tall and smart boy with thin beard, he smiles and turns shy. “I have done a diploma in hotel management,” he responds, at another bus halt, in calm voice and then shakes his head and takes a deep breath. This 21-year-old, Bandipora resident is another tale of sustenance amid shattering due to the prevalent uncertainty in Kashmir. “I was working in a hotel and was being paid Rs 8000, a month,” Sajad said. But after the killing of Burhan Wani, Dar’s fate changed. The hotelier asked his staff to go home and return after the situation improves within a few weeks. “But those two weeks passed into months and I was sitting idle at home listening to the news of killing and bloodshed,” Sajad explained. It was only after five months that he visited Srinagar. Till then ‘winter’ had arrived in valley and the hotels were desolate. “I was asked to go back home by the manager who was lamenting for his own job,” remembers Dar. Idle for these months, Sajad begun working as a laborer around his village to sustain his life. He hoped that now in spring he will get a decent job. After July eight, everything was shattered in Kashmir valley. The 2016 season was counted as one of the best tourism years for valley. “Last year these days there was not a single room left and the rooms were booked in advance for next three months,” said Manager of hotel Grand Mumtaz Pahalgam. Similar rush was at other big and small hotels, he says. “We had to hire additional workforce and it was highest as compared to other years.”But these days the hotel lobby is desolate occasionally a tourist walks. The receptionist is wearing a languid look. Last year at this hotel, as per management there were around two hundred people working. “This year the number is not even hundred,” he said, insisting there is no occupancy. The week 2nd before Ramzan, Pahalgam was jam packed but it would hardly matter for the hoteliers, who feel dried-up. “These were only local tourists, most of whom visit with lunch in carry bags,” quipped a hotelier. Statistics available state tourism department suggested a total of 12,99,112 tourists, including 24, 516 foreigners, visited J&K in 2016. The figre is 371,297 more than 2015. Had there been no change in situation the stakeholders in tourism say the figures would have been highest in the decade. 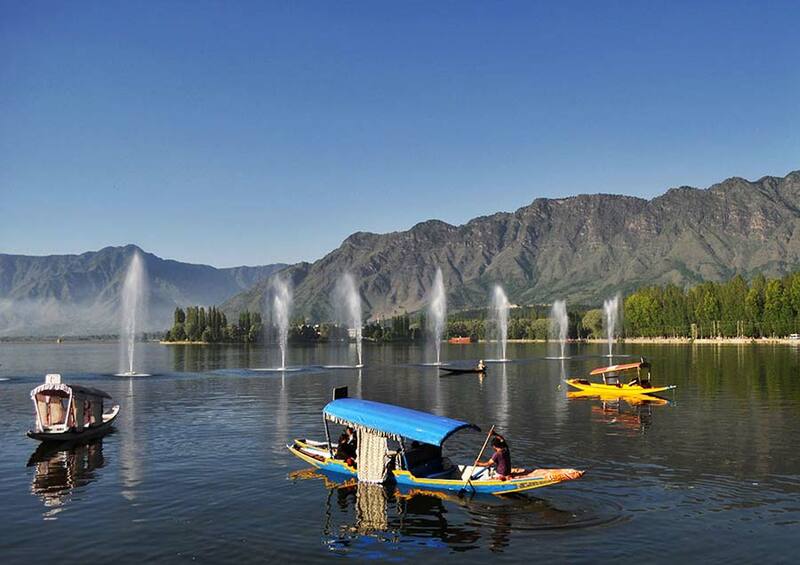 The months of April, May and June is the peak season for tourism in Kashmir. But this year officials say that not even one third of 2016 arrived. “We can give figures only at the end of the year but roughly less than 50 percent than previous year has come,” Mahmood Ahmad Shah, Director Tourism, said. Tour professionals, however, say the footfalls are below 15 percent. “There were few bookings in earlier months but as by-elections witnessed violence, bookings were cancelled,” one senior hotelier said. Air traffic is an indicator of the fall. Officials at Srinagar Airport said that last year on an average around 37 flights would land. However this year the number has fallen down by ten fights per day. A failed tourist season has the same cascading effect that a good year has, albeit negative. Transport sector is tense. Bilal Ahmad, a resident of Bemina, is the proud owner of Innova that cost him Rs 14 lacs. So far, he was able to return Rs 4 lakcs and was managing his four member family with ease. thinking to sell-off vehicle and work somewhere else. Since January he parks his car in TRC stand. For last three days has been waiting for his turn! Estimations made last year suggest state’s net loss is Rs 3,000 crore if a tourist season fails. While hoteliers have now turned towards estates department other stakeholders are managing to stay afloat. “This year we have received highest number of applications, perhaps in a decade, from the hoteliers for registrations of hotels by estates department,” said an official in Estates department of the state. Estates department every year hires hotels in Srinagar for employees who either move with secretariat or hail from far flung places. State hosts them in hotels free and feeds them without any costs. “Earlier those hotels would apply for the government renting who were not doing good business with tourism. Now top hotels, of the city applied this year,” the official said. However, these options are not available for the hoteliers out of Srinagar and other people associated. Riyaz Ahmad (name changed), a young chef planned to open restaurant with specialization in south-Indian cuisines. He used to work in a restaurant in Mumbai and nourished his skills there. “It was my dream to offer wide range of south Indian foods here in valley because most of the tourists from southern states don’t like other food,” Ahmad said. He worked on his project for a year and finally decided to throw open restaurant near Mattan on Khanabal-Pahalgam road. But he returned to Mumbai. Given the lesser footfall of Kheerbhawani pilgrims, aimed whispered campaign, Amaranth Yatra is likely going to be low key affair this year. 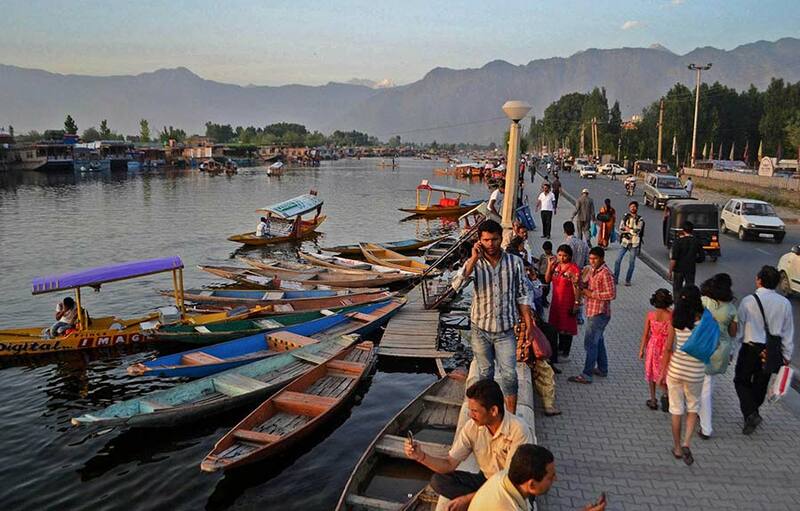 The stakeholders blame Delhi’s electronic media for destroying Kashmir as a tourist destination. “Media particularly the TV Channels will have to play an important role,” says an official in the department of tourism. It was this view that Chief Minister is frequently talking about.